Truth be told, I was there for an engagement shoot that I’ll share in another post. (Which was also great, but we weren’t quite there at the right time… you’ll see). So Meg and Dave got engaged recently and they are great folk we’ve known for quite sometime. They’re SF City dwellers, climbers, beer connoisseurs and generally fun-loving, quirky folk. Oh, and they don’t like photos. So I told them I’d grab a few photos quickly and candidly, just as a fun thing to celebrate their engagement. Painless right. 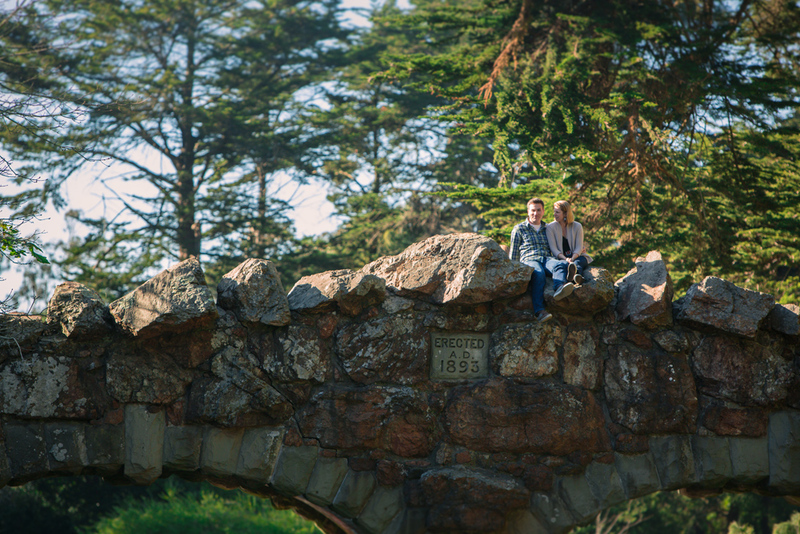 Well, painless quickly turned to pretty cute as I got this shot of them on the bridge over Stow Lake. So anyway, we joked for a bit, made friendly with the man and he seemed ok with our plan. 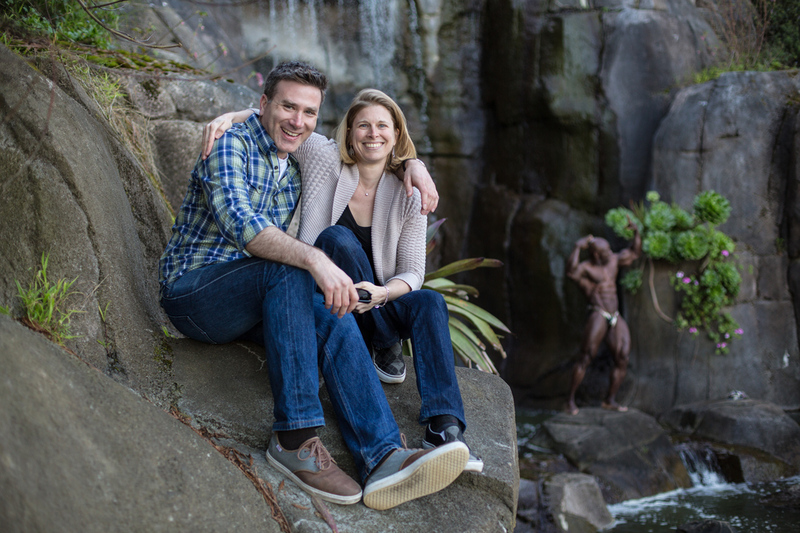 Here’s the final result: True love and bodybuilding all in one! Oh em gee…that seriously is an awesome engagement photo. I hope they print it out huge on canvas. Strong love, strong man.